The Hawaiian Monk Seal is also known by its scientific name Monachus Schauinslandi. It comes from an earless seal family called Phocidae. The conservation status of these beautiful Hawaiian Monk seal is a big issue. They are critically endangered as per the International Union for Conservation of Nature and animals. The concerned authorities must really find quick solutions to tackle this situation before planet earth lose them forever. 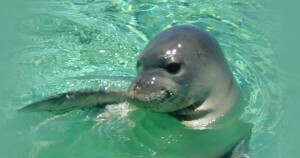 The name Hawaiian Monk Seal is derived by the folds of seal’s skins as it resembles monk’s cowl. Hawaiian Monk Seal are fondly referred as living fossil considering their long existence. Gestation period of Hawaiian Monk Seal is 10-11 months. Life span of seal is 35 years. 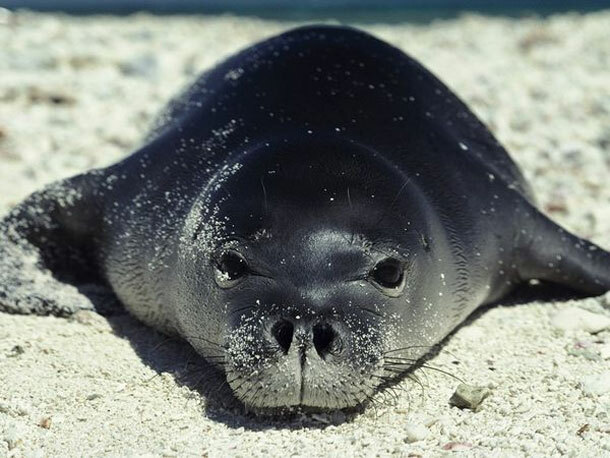 Major threats concerning Hawaiian Monk Seal are adversely affected habitats, insufficient food, diseases and human interference. Hawaiian Seals have weak grasp on their target. Hawaiian seals have become one of the rarest of marine mammals. The latest numbers estimates that there are merely 1000 seals alive and it is imperative to sustain these beautiful seals. Hawaiian Monk Seal is the only seal native to Hawaii. While discovering humans are also invading space of these beautiful mammals and it is taking toll on their entire populations.